Hotel Nordurland is located in the town center of Akureyri, making it an ideal place to enjoy local culture and historical sites. The hotel offers 41 bright and friendly rooms that warmly welcome our guests. The rooms at Hotel Nordurland are equipped with amenities such as flat screen TV, radio and telephone. Furthermore Hotel Nordurland has complimentary WiFi, coffee and tea set, en suite bathroom with walk in shower, hairdryer, toiletries, writing desk and chair in every room. Hotel guests have access to a few complimentary parking lots in front of the hotel. Around the hotel are parking lots that are subject to the use of parking-clocks, please contact hotel for further information. Breakfast is served between 07:00 - 10:00 and is included in the price. Guests can borrow iron and ironing board at the lobby, where they can also access a guest computer. The hotel offers meeting facilities. The snug little North Bar is located on the hotel´s ground floor and welcomes guests to relax in its easy going surroundings. Family with Children: 1 Child 0-11 years old is free of charge if sharing an existing bed in the same room. Stay in one of 66 guestrooms featuring flat-screen televisions. Complimentary wireless Internet access is available to keep you connected. Private bathrooms with showers feature complimentary toiletries and hair dryers. Conveniences include desks and electric kettles, and housekeeping is provided daily. This hotel has 4 floors in 1 building and offers offsite parking. 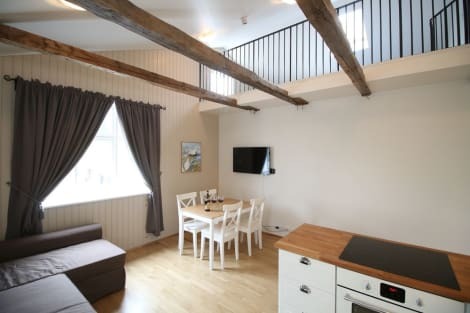 A stay at Acco Guesthouse places you in the heart of Akureyri, steps from Akureyri Church and 13 minutes by foot from Akureyri Botanical Garden. This hotel is 0.7 mi (1.2 km) from Arctic Botanical Gardens (Lystigardurinn) and 1.1 mi (1.7 km) from Jon Sveinsson Museum. Make yourself at home in one of the 204 guestrooms. Complimentary wireless Internet access is available to keep you connected. Hótel Kea is located in the heart of Akureyri, North Iceland, next to the iconic church of Akureyri. With view over the fjord the hotel is within walking distance from the town central with shops, cafés, restaurants and so much more. Hotel Kea is the only four star hotel in town offering rooms that range from standard to a top floor suite, room service, in house restaurant, bar, conference and meeting halls. Hotel Kea offers 104 rooms that are neatly decorated in classical style which reflects the hotel´s history. The rooms are equipped with modern amenities such as flat screen TV, free WiFi, telephone and a minibar. Furthermore Hotel Kea has complimentary WiFi, coffee and tea set, en-suite bathroom with walk in shower or bathtub, hairdryer, toiletries, RB beds, writing desk, iron and ironing board and parquet floor in every room. For those who want more spacious rooms the hotel offers Superior and Deluxe rooms as well as a top floor Suite with a view over Akureyri town central and the Eyjafjörður fjord. Guests at Hotel Kea can drive up to the hotel for a luggage drop off and have access to complimentary parking lots just a short distance from the hotel. Breakfast is served between 07:00 - 10:00 and is included in the price. Guests have access to guest computers, printer and a security box at the lobby. On the first floor is Mulaberg Bistro & Bar where guests can enjoy high quality Icelandic ingredients under french, Italian and Danish influences resulting in a unique adventure for the taste buds. Family with Children: 1 Child 0-11 years old is free of charge if sharing an existing bed in the same room. 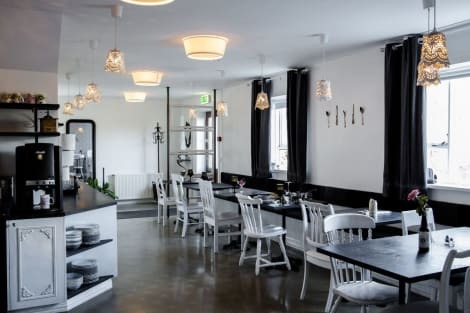 At Skjaldarvik Guest House, enjoy a satisfying meal at the restaurant. Quench your thirst with your favorite drink at the bar/lounge. A complimentary buffet breakfast is served daily from 8 AM to 9:30 AM. Make yourself at home in one of the 5 guestrooms, featuring kitchens with refrigerators and stovetops. Flat-screen televisions and DVD players are provided for your entertainment, while complimentary wireless Internet access keeps you connected. Conveniences include desks and separate sitting areas. Take in the views from a terrace and make use of amenities such as complimentary wireless Internet access and gift shops/newsstands. This apartment also features tour/ticket assistance and barbecue grills. 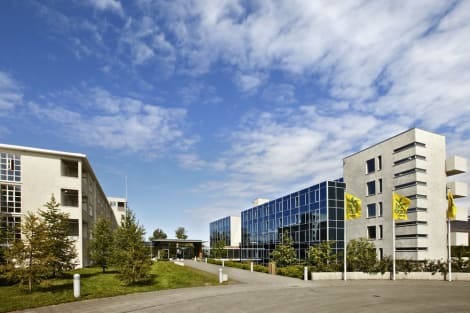 lastminute.com has a fantastic range of hotels in Akureyri, with everything from cheap hotels to luxurious five star accommodation available. We like to live up to our last minute name so remember you can book any one of our excellent Akureyri hotels up until midnight and stay the same night.